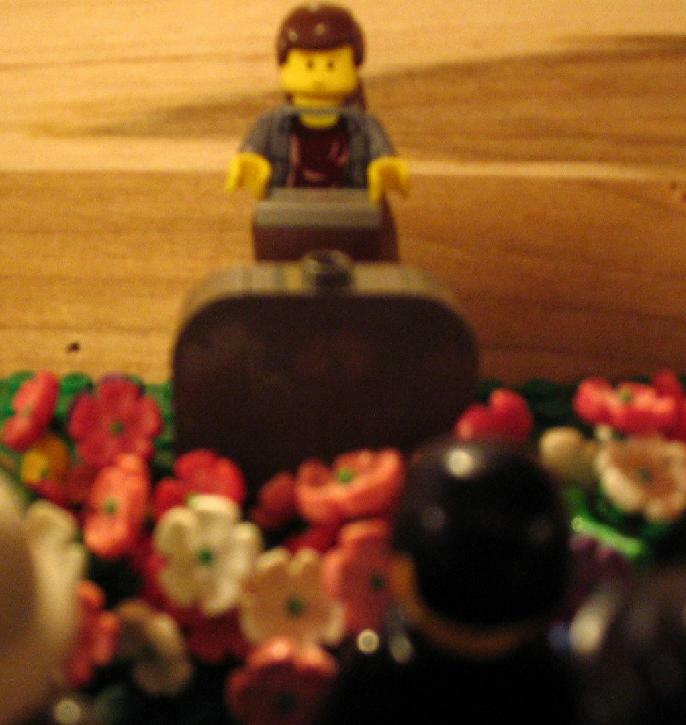 Minifig KX delivers the eulogy. 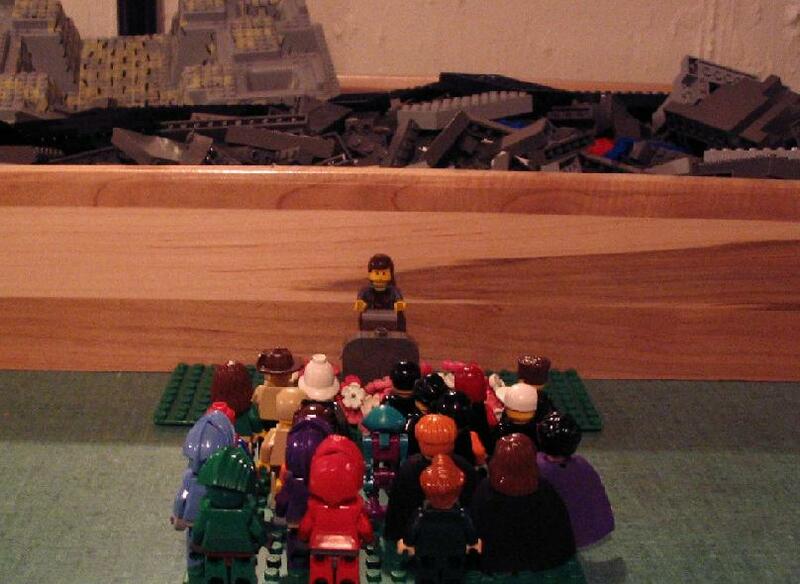 The crowd remains in solemn silence. 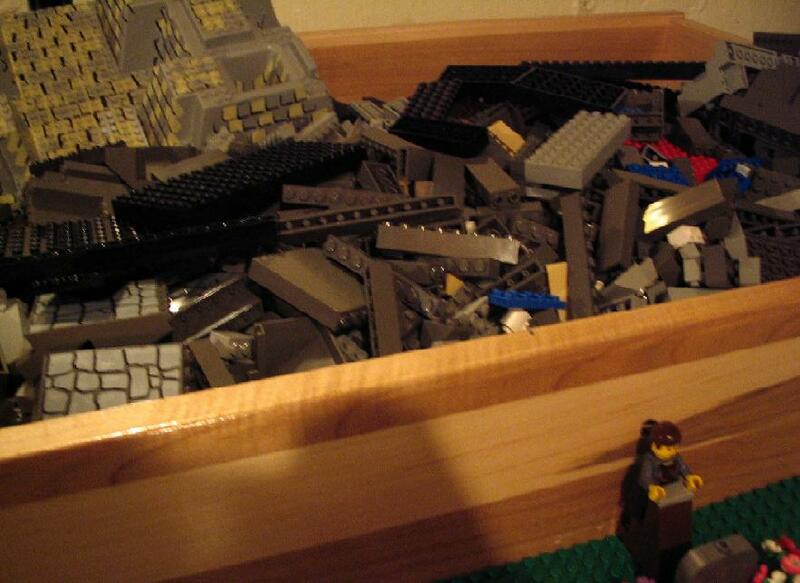 A box full of every single piece that went into the construction of Helm's Deep. 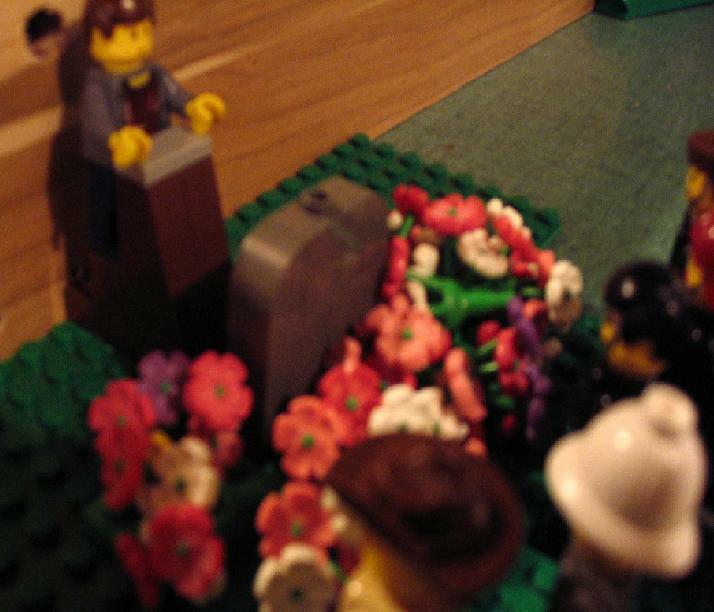 Correct me if I'm wrong, but is it safe to say I'm one of the first people to hold a funeral for their favorite MOC and take pictures of it? With that out of the way, let's continue.. 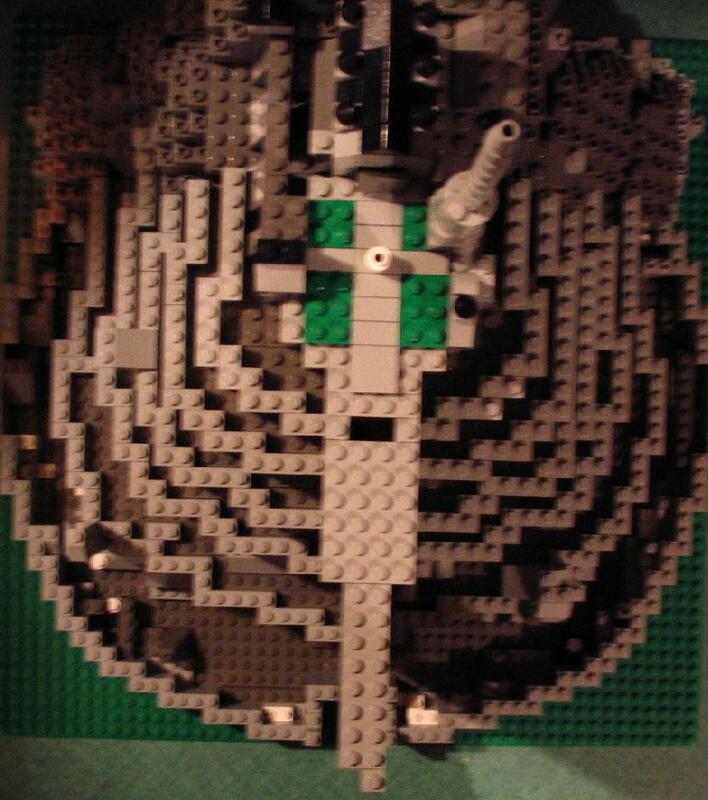 Shortly after deconstruction, I whipped out the huge green baseplate and made a 1-brick-high plan for the wall formation. Didn't get much further that day (other than the outer wall). The next day was totally spent on an 11-hour Lord of the Rings Extended DVD marathon. Thursday was when the bulk of construction got done; I tell ya, I can't remember another situation where I've slightly repositioned pillars and walls so many times. Late the next morning (Christmas Eve) I put the finishing touches on the city and finished up the mountain. So yes, my Mini Tirith has been sitting on display atop a shelf for nearly three months now and I've never taken pictures until tonight. Why? I procrastonated it, forgot about it, was busy, was lazy... A slew of factors. But I always intended to get it done, and by jove it is done. So enough chatter -- on with the pics. View of the cliff from a courtyard building. 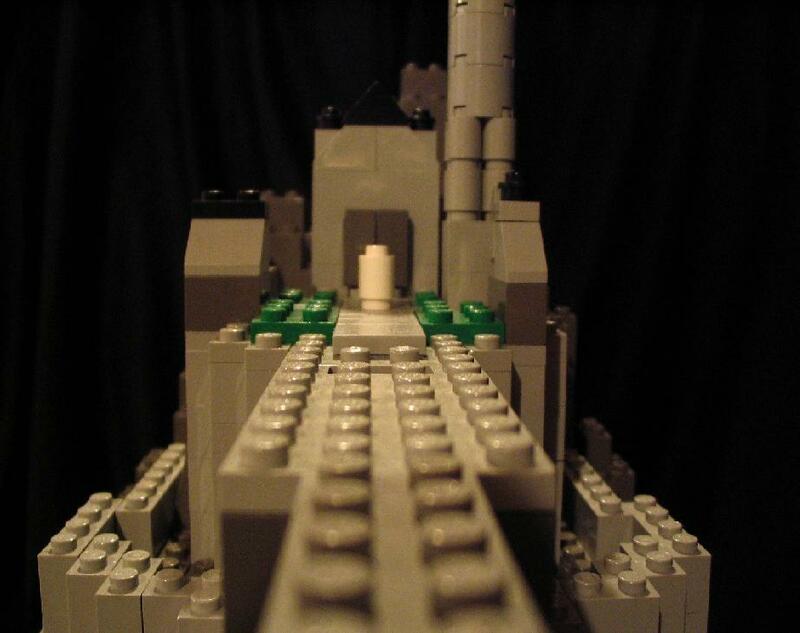 The bridge leading to Denethor's pyre. ...and for the heck of it, the top. 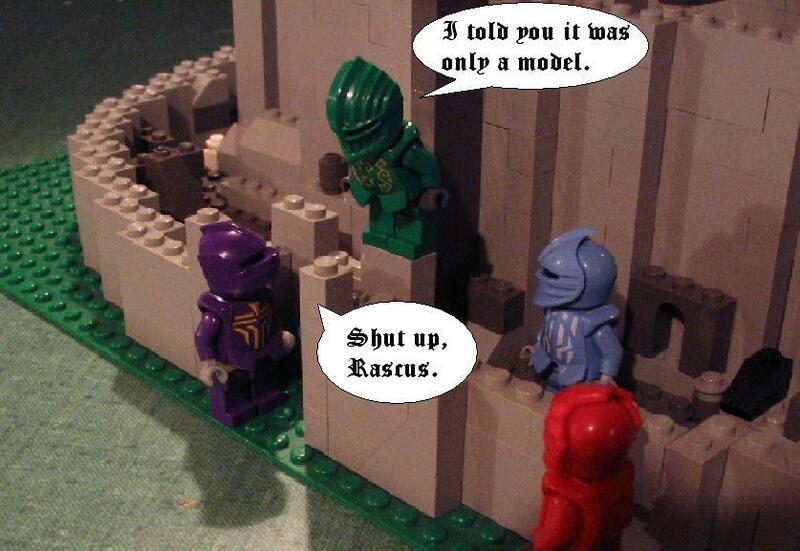 End of the Knights' lil' journey. 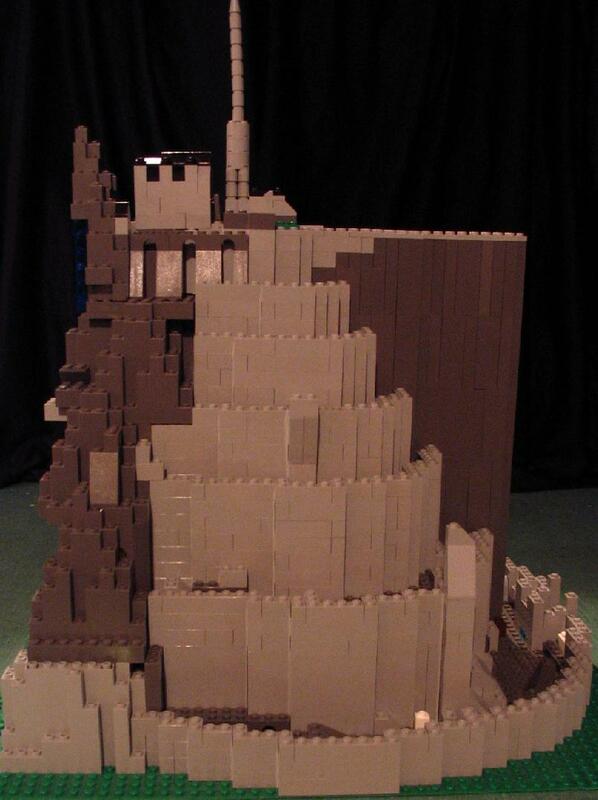 So, why did I decide the build this knowing that I wouldn't compare to the Helm's Deep that would have to come down to make way? Few reasons, actually. 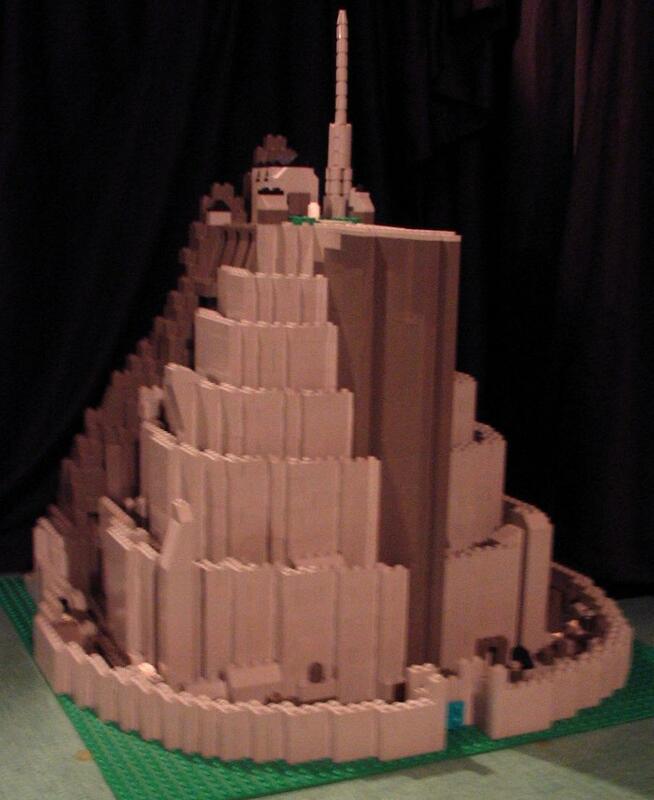 First, I've never gotten over disappointment in myself for that terrible excuse for a minifig-scale Minas Tirith that I made up over Christmas break the previous year. I soon saw that the city looks at its best when you see the whole thing. 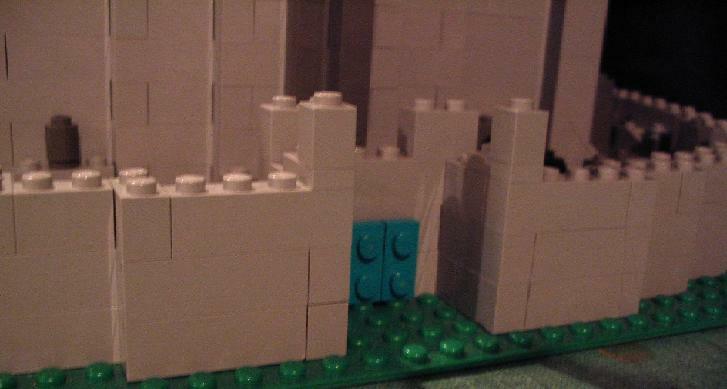 Armed with the knowledge that it would take a lot of time and even more bricks to do a proper-scale city, I went with a mini version (which, in the end, turned out a lot less 'mini' than I thought it would). 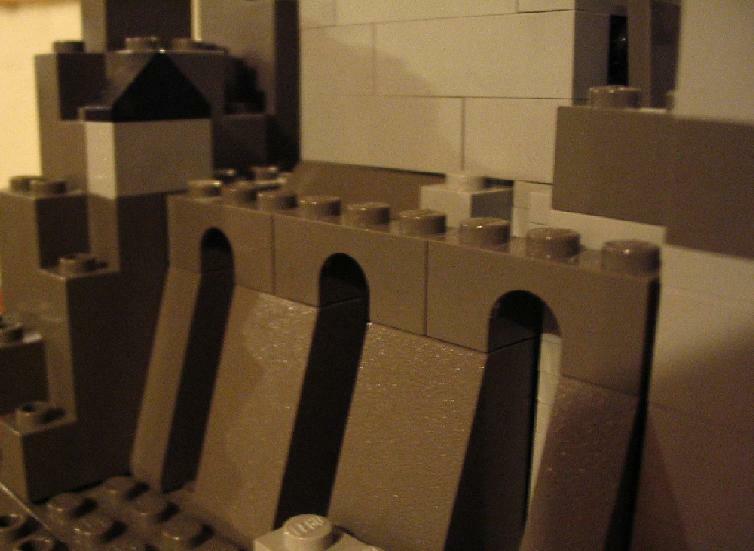 Much inspiration was drawn from the little model of Minas Tirith that comes with the boxed edition of the Return of the King Extended DVD. I'm pretty sure that's all I wanna say. If I think of anything else, I'll add it in. But anyways, comments? Complaints? Any criticism at all? I'm open for anything. 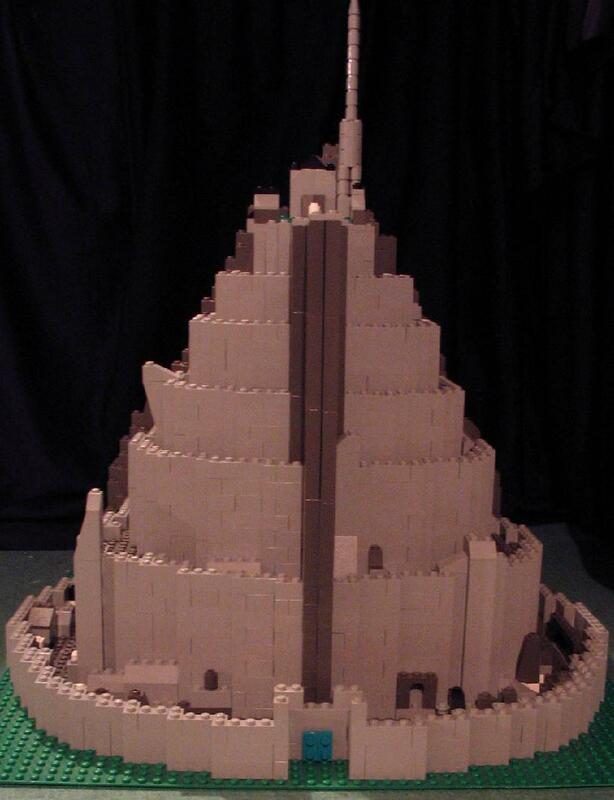 I've always wanted to do a Minas Tirith after the high praise recieved on my Barad Dur and Orthanc minis, but it seems you've beat me! I love the overall feel of it, but to me you could throuw some more details in there. 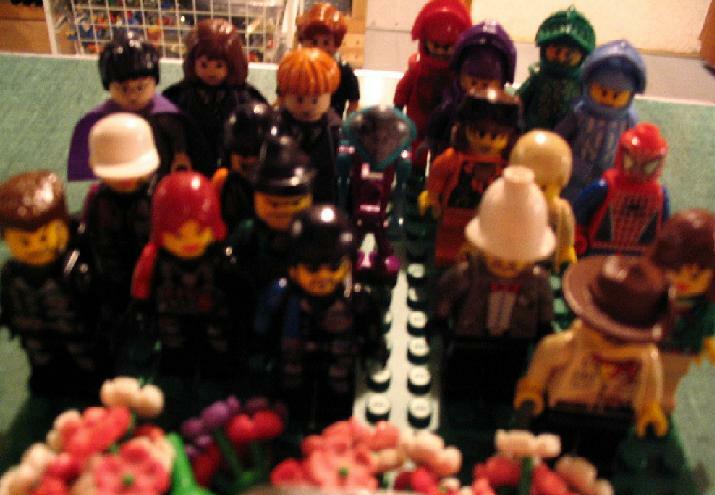 I know it's rather hard at such a small scale, but even from far away it looks plain. Especially since it's all gray, not white. Hehe. Definately love it though. Two thumbs up! Ooooh!!! 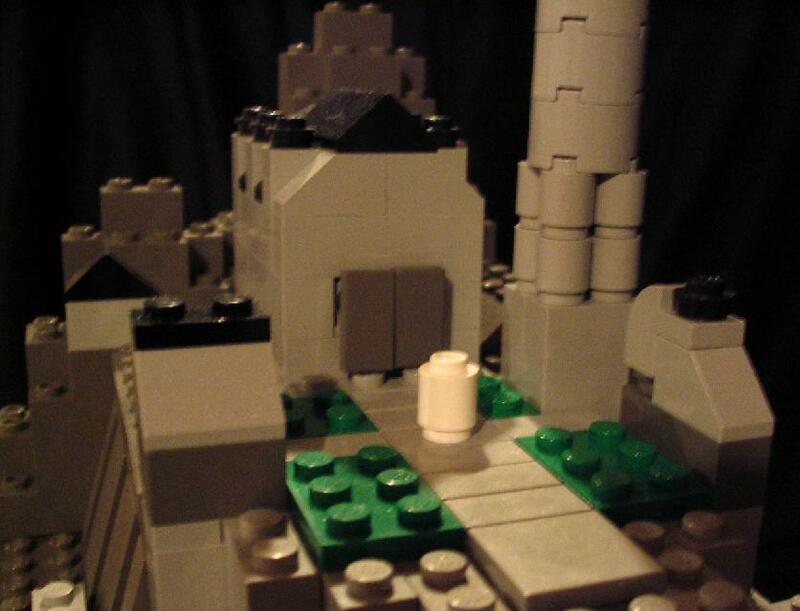 That mini Minas Tirith is wicked cool! Awesome job! 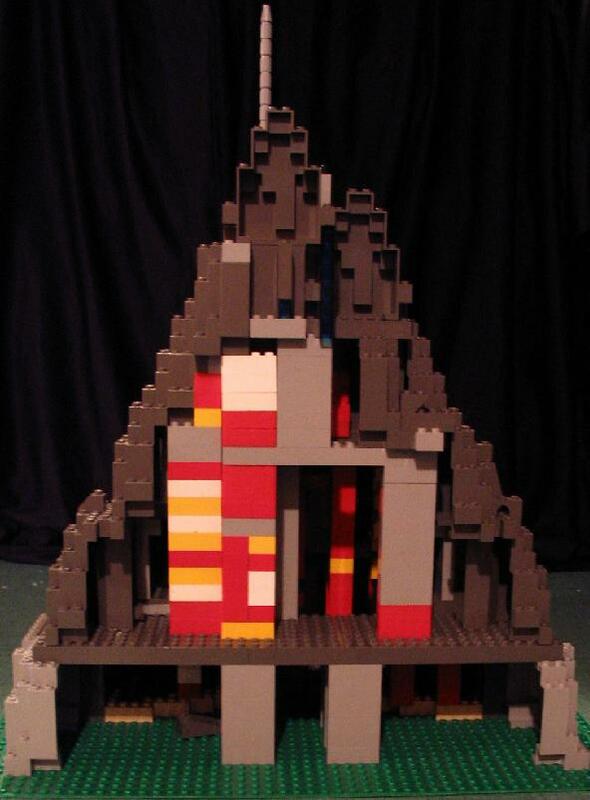 I may have to build one myself, but different than yours, off course!